How to connect Rotary encoder to Axoloti? I'm trying to connect a rotary encoder to my Axoloti, but I don't find the solution. With Arduino I connect left to +, right to -, middle to Analog In and it works. I tried to do the same with Axoloti and it doesn't work. Is someone can help me ?? 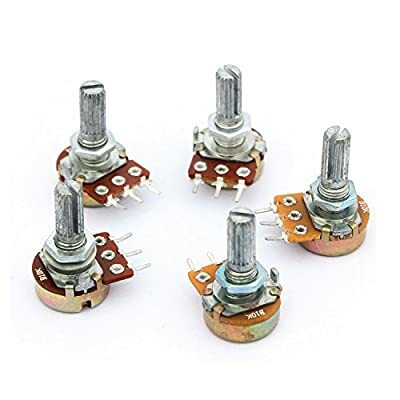 You try to connect Potentiometer or rotary encoders ? In your link it's potentiometer. For example, connect GND and VDDA on the 2 extrem pins and GPIOB1 on pin in the middle. Thanx for you answer. It works well. I tried with PA and not with PB.